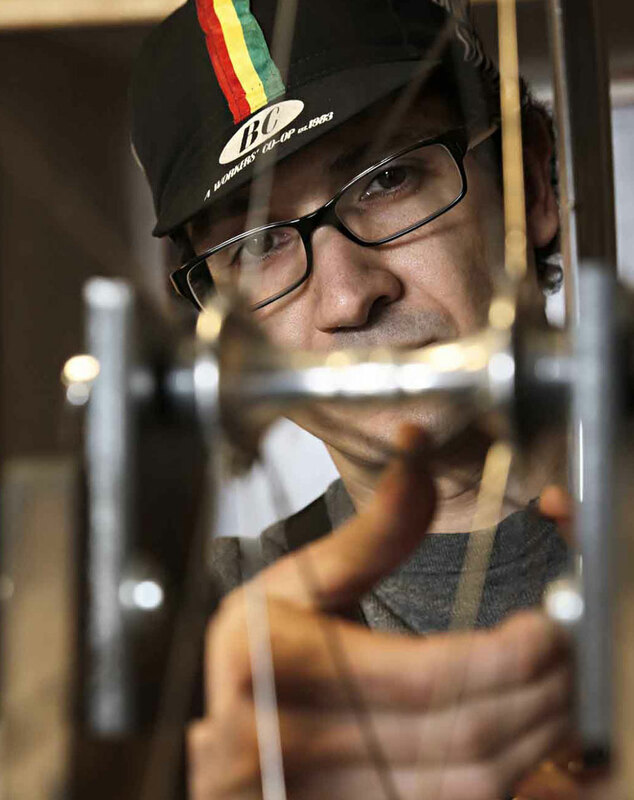 Arregui Velázquez makes custom bicycles: tailor-made bicycles that fit and serve the purpose of a particular person. They are built to be functional and simple, using the best materials and techniques at our disposal. Every bike is designed and made to the exact specifications of the person who is going to use it. Arregui builds road, track, long-distance, urban commuting, randonneur and mountain bicycles. Each frame is handcrafted one by one, from beginning to end, taking the time that is needed, taking every detail into account. No rushing, no shortcuts. Only a few frames are produced each year. 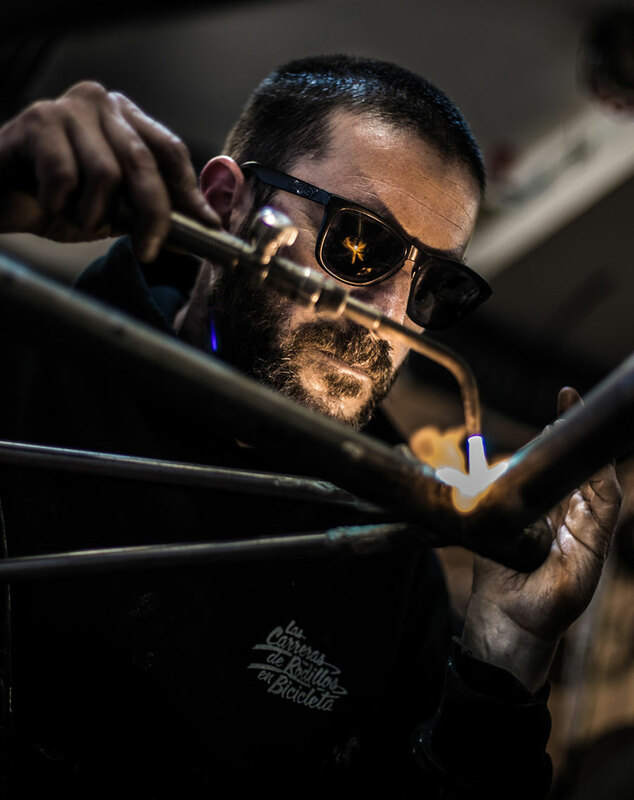 Every frame is constructed in Madrid, using the finest quality materials and components from all over the world. The final look of the build is also very important, as it reflects the care taken in every step of the process. 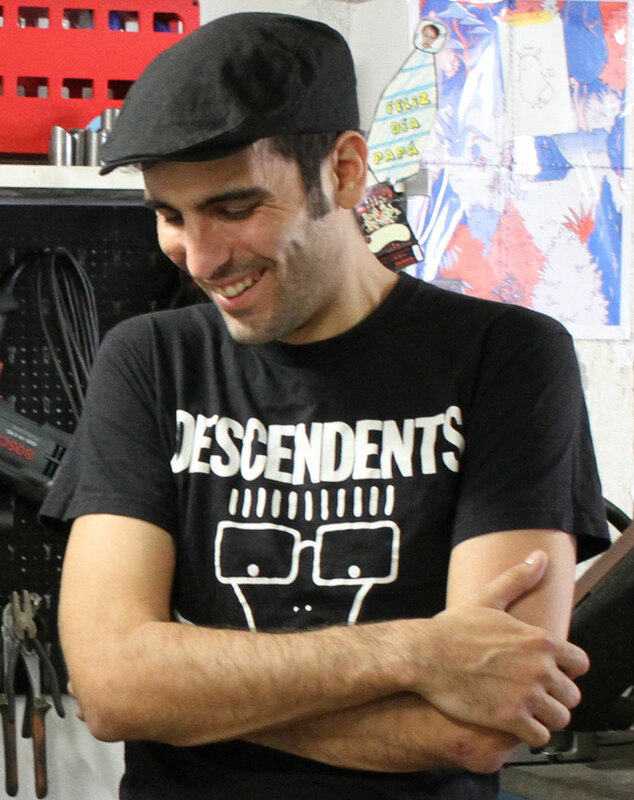 Andrés Arregui Velázquez is the designer, frame builder, accountant and mail guy. Co-founder of Ciclos Noviciado/Universal, he started learning about this craft in 2009. Self-taught, he has broadened his knowledge by spending time with retired local builders, as well as visiting builders in Italy and Japan. Every day he tries hard to learn new things that will help him perfect the frame building process. He has a PhD in Chemical Physics and has been playing saxophone for more than 15 years. Two more persons are involved in this project: Eduardo Gasca (head mechanic at Ciclos La Universal) and Carmelo Ortega (painter).